The Steam Hardware Survey for December 2017 has been released to the public, allowing us a little insight into gaming rigs across the globe. It has been a wild ride, especially for a few key tech players such as AMD, but the results tell a different story. Fancy an upgrade? Here are the best gaming monitors around. AMD processors have suffered declining Steam user share in the past few months, although this blue bulge has seemingly leveled off for the time being, and even started to push back ever so slightly with a 0.5% percent share increase since November. AMD pushed worldwide pricing reductions across their Ryzen chips for an extended period of time leading up to Black Friday, and this seems to have stifled Intel’s absolute dominance among Steam survey participants – high sales are not always reflected directly in Steam’s survey results, however. AMD have also been haemorrhaging graphics cards share since September, although this follows a slight downward slope throughout the year. In December, this is alleviated ever-so-slightly for the red team, although only by 0.1%. AMD are sure to be selling more graphics cards than ever, regardless. With miners snapping up AMD cards as if Bitcoin has no tomorrow, it’s no surprise that users have been leaning towards the green team for new builds, while low-end Nvidia cards are still massively popular among many gamers for popular esports titles and gaming cafes. Nvidia’s GTX 1060 stands as the top card in December, although Steam doesn’t seem to differentiate between the 6GB and 3GB, so these results are combining two different beasts of burden. 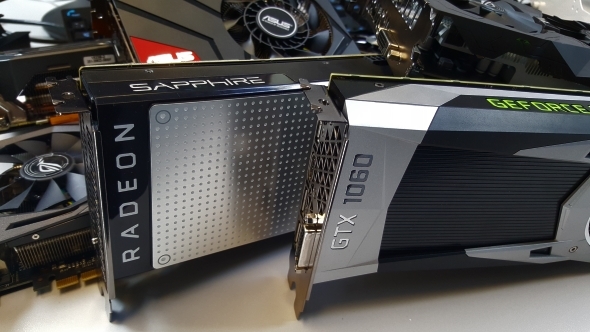 The GTX 960 and GTX 750 Ti both follow up closely at 10.54% and 10.48%, respectively. VR headsets saw the launch of Windows Mixed Reality in previous months, and this saw steady increase into December. Oculus managed to take the lead on growth over HTC Vive for the first time in its history – although only by a less than 1%. That is no doubt thanks to the $399 price tag the whole kit ran at for the end of last year. The survey results have been subject to a menagerie of surprise upsets since November. Windows 7 has dropped by 15.10% across Steam users, after the sudden surge earlier in the year that saw it rise to the top spot above Microsoft’s modern OS. In turn, Windows 10 rose by 13.15% in December. As 2017 came to a close on December 31, so did Microsoft’s last chance offer of a free Windows 10 upgrade with their assistive technologies program. 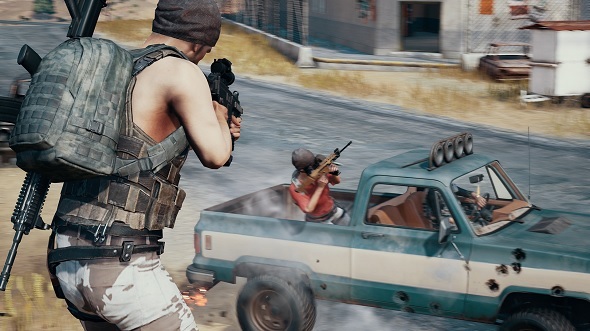 However, a more likely explanation is that Chinese language has simultaneously dropped in December – which lends more weight to the theory that a surge in popularity for PUBG in China was wildly affecting Steam survey results. Simplified Chinese quickly rose to the dominant language on Steam, knocking English off the majority spot in September. Since December, however, the total number of Simplified Chinese language users has tumbled from its peak at 64.35% down to 49.04% – a drop of 15.31%. With the booming gaming market in China, and the success of PUBG in the country, this change is not entirely surprising. This may drop as publisher Tencent work on a Chinese market exclusive version of the popular title. Some degree of this change may also be attributed to Steam’s survey gathering and reporting system, which is not entirely inclusive or representative of the community as a whole. The hardware survey is a good resource, but it is far from perfect… regional filters, anyone? Despite the big changes to the markets throughout the year, the statistics have not been entirely representative of this change. It seems the combination of mining and apparent exponential growth in the Chinese gaming market, due to the enormous success of PUBG, were more than enough to skew the figures even further in favour of the old dogs of hardware – Nvidia and Intel – by the end of the year.